Let NOAA staff inspire you! 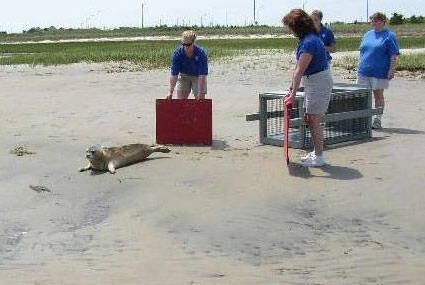 NOAA employees volunteer in a number of ways, including the Marine Animal Rescue Program at the National Aquarium in Baltimore. 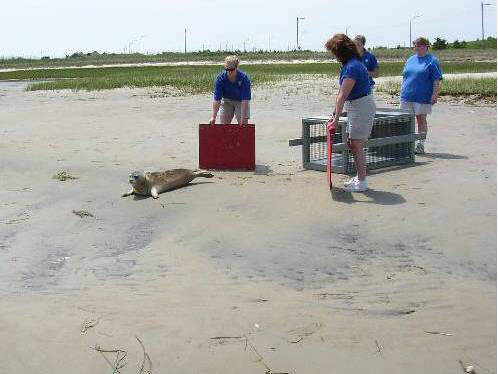 Here, volunteers release a rehabilitated harbor seal named Hopper.